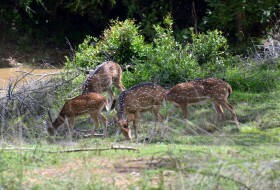 The Ruhunu National Park or Yala as it is better known, is synonymous with the word ‘wildlife’ in Sri Lanka. The largest wildlife sanctuary in the island, Yala covers 126, 786 hectares and is situated 305 km south east of Colombo near the coast. The country here is dry zone scrub jungle with patches of dusty glades and starkly different to the green verdure of the wet zone. This is the home of the elephant, once widespread over the whole island, but now mostly hemmed in by ever increasing human presence, to pockets in the low lying plains. Trained trackers accompany groups who view herds of elephant, bear, elk and the occasional leopard in their natural habitat. 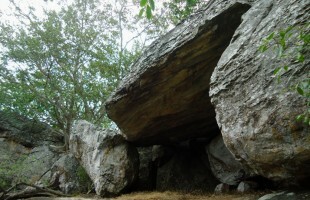 A number of interesting archaeological sites are also located within the park. 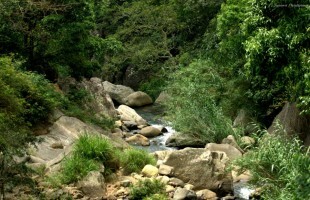 Yala is a national park and strict nature reserve that is divided into 5 blocks. The most visited block is better known as Yala West, and covers about 14 hectares. Elephants are the most visible inhabitants of the park, but it is also home to as much as 130 different species of birds, sambhur and spotted deer, sloth bears, crocodiles, monkeys, jackals, wild boar and porcupines. If you’re really lucky, you might glimpse one of the small population of leopards here – perhaps the best way to do so is by making friends with the research team based just outside the park, which is tracking and studying the behaviour the leopards. The terrain here consists of rocky outcrops, lagoons and a mixture of scrub and plains.The park is open from 6am – 6pm everyday, and the best times to visit are at dawm or dusk. The best time to make a visit to this remote area of the island is between October and December. You can buy tickets at the park office near the entrance, and hire a jeep or car, and your compulsory tracker there. There are also a number of archaeological sites within the park that indicate the remains of a once thriving society. 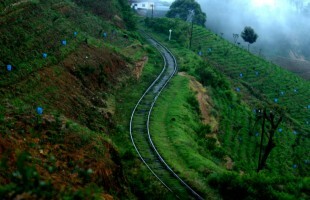 Sithulpahuwa is a monastic settlement that once housed over 12,000 inhabitants. There is also the Magul Maha Vihara built in the 1st century BC and a Chetiya (shrine) built in the 2nd century BC in the area. The Tissawewa is a man made tank with abundant bird life, that dates back to the 3rd century BC. There is a large restored Dagoba next to the tank, which was built by King Kavantissa and a statue of his wife Vihara Maha Devi next to it. Ask around, and the locals will also point you in the direction of the secluded baths used by Vihara Maha Devi and her ladies. The Sandagiri Vihara and the Yatala Vihara also date to about 2300 years ago, and are worth a visit, as even the ruins indicate the vision of past kings, and the sheer genius of their engineers. 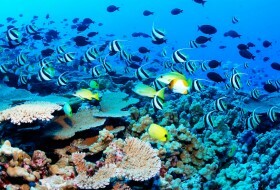 The Kirinda beach is 10kms south of the town of Tissa, and offers probably the most spectacular scuba diving in the country. 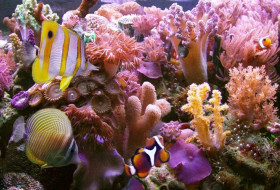 Arthur C. Clarke’s team explored the Great and Little Basses reefs when diving for wrecks, and the account is told of in his ‘The Treasure of the Reef’. There are many places to stay in and around Yala (there are seven bungalows in the park, that you can book through the park office) and Tissa. These vary in comfort and price, but are all clean and the people here are very hospitable. There are regular buses to Tissa (which is the closest town to the reserve), but be aware that this journey can take up to seven hours. A car journey will cost more, but also get you there is a considerably shorter space of time. Yala also forms the natural habitat of many large animals including the leopard, sloth bear, sambhur, spotted deer, monkeys, wild boar, jackals, jungle cats, buffaloes and the elusive pangolin. 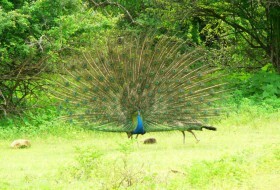 Other creatures include the gorgeous peafowl and much other birdlife just as rich as the variety of animals. Of the large reptiles found on the island, the largest is the saltwater crocodile. Gigantic specimens of over 8m in length are not uncommon and can be spotted basking at the edge of brackish estuaries and lagoons of the dry zone. More common are the prehistoric looking monitor lizards you may see waddling slowly across a road or napping on a tree branch. The best times to see the animals are early morning and evening when they will congregate at the watering holes or lagoons. 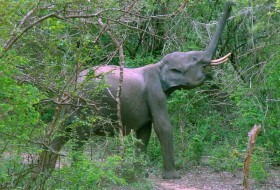 Divided from the main Park is the smaller Yala East National Park on 18,149 hectares. A strict natural reserve separating it from the larger Park is not open to visitors. Yala East contains the picturesque Kumana villu or mangrove swamps, covering about 500 acres, to which spectacular numbers of water birds come to breed and nest. Some of the birds to be seen during the season from April to June include spotted-billed pelicans, painted storks and other varieties of stork, various herons, egrets, bitterns and cormorants. The largest bird in the island and one of its rarest, the black-necked stork is also found here. 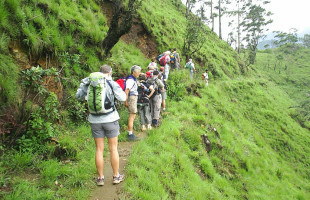 This is certainly a bird lover’s paradise and offers unrivalled opportunities to observe many of the 400 species of birds on the island, 21 of which, are unique to Sri Lanka. As the water rises in the villu in March, the bird population gradually increases. The superb sight of flight after flight of pelicans and painted stork moving in for the nesting season can be seen at this time. The bigger the birds, the higher they nest in the bushes and trees. By May and June during the height of the nesting season, there is a great deal of activity and the noise produced by hungry fledglings rises to a loud din. 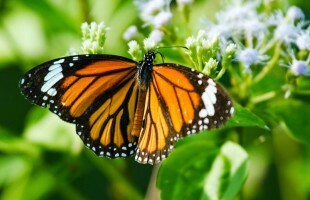 The arrival of the north east monsoon finds the villu deserted by the migrants and then gradually the domestic species will once again assert their presence in the region. Although this part of the country is best known for the National Parks, deep within the jungles are ruins of rock temples, cave monasteries, large artificial reservoirs or tanks and other monuments to an ancient, more prosperous and glorious past. The ancient kingdom of Ruhunu was once the centre of a great civilisation like the Rajarata in the north, with advanced irrigation, sophisticated lifestyles and massive buildings. This golden era saw the construction of monasteries and shrines such as Situlpahuva, Akasachetiya, Kotadola and others as Buddhism flourished. Three miles from Palatupana lies the Magulmahavihara, to which the southern King Kavantissa brought his bride, Viharamahadevi after she was washed ashore on a golden boat over 2000 years ago. It was their son, the Sinhala hero king Dutugemunu, who rose from the south to defeat the Chola general Elara, and restore the northern Kingdom to the Singhalese. The ruined chetiya is flanked by a long row of rock caves with brick walls and wooden doors added at a later date. Close by is the ancient monastic city of Situlpahuva. The complex is beautifully situated on a huge rock, into which steep steps were carved, leading to the dagoba at the top. Ancient scriptures say that at the height of the kingdom, over a thousand arahats lived in the area in the rock caves donated to the monasteries. 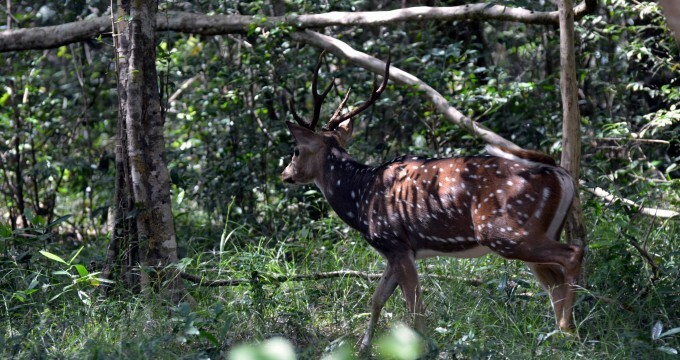 There are several campsites and bugalows available for hire in the Park and any of them can be booked in advance from the office of the Department of Wildlife Conservation in Dehiwela, adjoining the Zoological Gardens. 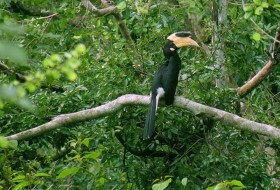 Yala is a protected area covering 126,786 hectares in the south east corner of the island. The Park is also a strict reserve and only two or three of the five blocks are open to visitors at present. What makes Yala so special is that in the south east it is bounded by the sea. There are many bays and inlets which have shaped the beautiful coastline and added variety to the environment in landscape and types of wildlife. Seabirds and shorebirds abound and dolphins and even large whales have been spotted out at sea. Lagoons are strung out along the beach providing another special habitat for different wildlife. 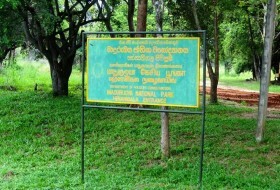 There are several types of dry zone vegetation seen in Yala. 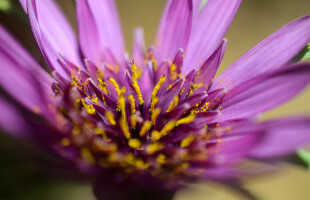 All together they total 280 species of trees and plants and include many medicinal plants. Block one is the most visited as it is most accessible and the many open glades make it easier to observe animals. Yala is famous for elephants and other large inhabitants include buffaloes, leopards, deer, sloth bear, wild boar, monkeys, jackals, pangolins and crocodiles. Five of the 142 species of birds are endemic and some are winter visitors from the north. The Yala season extends from October to December, dawn and dusk being the best times to spot animals as they congregate at water holes. 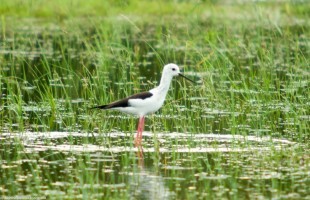 The important wetland reserve of Bundala National Park lies just east of Hambantota. Birds are what most people come to see here and there are 149 species that use the reservoir and its environs. You’ll probably see elephants too and perhaps leopards, sloth bears and giant squirrels and others. Other residents include the marsh and estuarine crocodiles and four of the five Sri Lankan turtles come to lay their eggs on the coast. Spectacular numbers (up to 2000) of greater flamingo flock here during the winter and include the only resident population of the big birds. Many others that have travelled thousands of miles from their native lands also sojourn here at this southernmost marsh before moving on to Antarctica. The Wirawila Wewa forms a large water body adjacent to Tissamaharama and attracts thousands of different birds. Early morning is the best time to witness the daily performance put on by the many varieties of water birds who gather here. Crocodiles are also common and you may see monkeys. Kumana villu is famous for the numbers and variety of waterbirds that live and visit there. 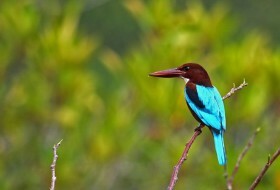 About 500 acres of mangrove swamps provide a unique habitat from April to June for thousands of birds. Salt water lagoons strung out along the coast are another draw to birdlife. From March onwards the channel to the marsh is cut off by a sandbar. This raises the water level in the villu and the birds start flying in to nest from colder climes. 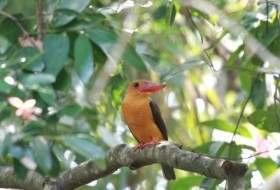 The larger birds occupy the bigger trees and the smallest nest close to the water in bushes or on floating nests. The height of the nesting season is mid May and June when the decibel level in the area is also at its highest. Activity surrounding the fledglings is intense as anxious parents scramble to feed them. 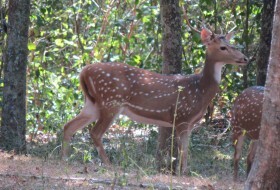 August sees them almost fully grown and by the time the north east monsoon starts in October, the villu is quiet again. The largest bird in the island and one of the rarest, the black-necked stork, may be spotted with its glossy blue, black and white plumage, crimson legs and an enormous bill. It stands over a metre tall and nests in the taller trees. 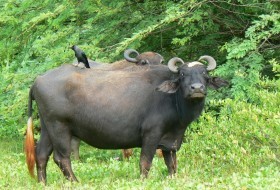 The plains surrounding Kumana are home to spotted deer, wild buffalo and boar. You may also see elephant and leopard. Among the many ancient ruins scattered through the Yala reserves, the most famous and the most extensive are those at Sithulpahuwa. Considered the second most important pre Christian monastic complex in the island, it is of great historical, archaeological and cultural value. Of the ten temples here, two have been restored including the 6m reclining Buddha statue. Stone inscriptions at the site of the main temple indicate that its original name, Cittalapabbata Vihara, has remained unchanged to this day, an indication of its pre-eminence. It is also the only ancient temple inside Yala still inhabited and remains an important pilgrimage site. The modern structure was built early last century. However, the complex dates from 200 BC and the reign of the King Kavantissa. Long before the area became a protected zone for wildlife, it was a sanctuary for clergy, with hundreds of caves associated with religious use. Land had been donated by royalty to the use of monks, for whom the peasants had prepared cave dwellings in which to lead their ascetic lives. Up to 400 caves have been discovered so far, some with traces of ancient murals and paintings on the walls and ceilings. An astonishing 12,000 monks were said to have been accommodated here at the height of the monastery. Unfortunately, many of the 164 stone inscriptions have been eroded beyond legibility. The base of the stairway to the main dagoba shows one of the clearest. The scripts are from three main eras, the earliest being from about 3 BC to 1 BC.